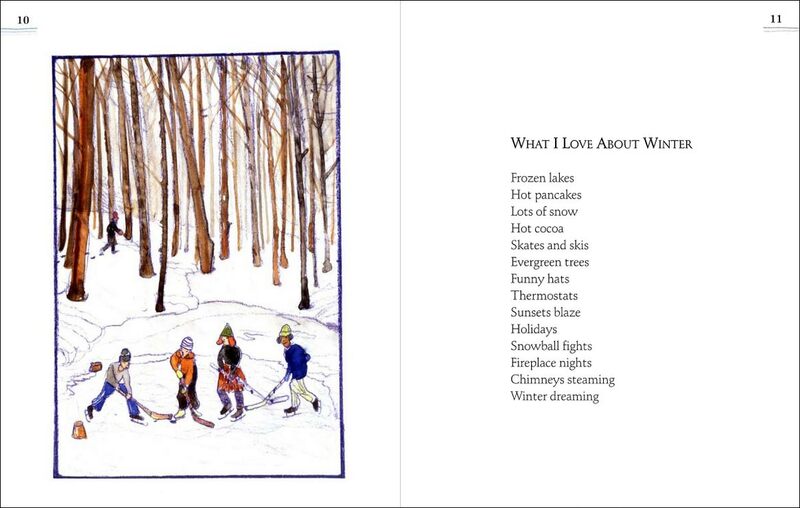 One of our favorite author/illustrators is Douglas Florian, so we were delighted to discover these books of poetry about seasons. SLJ described Florian's poems as "often simple, rhythmic lists with an ending twist", and that is certainly true for the poems in this book. 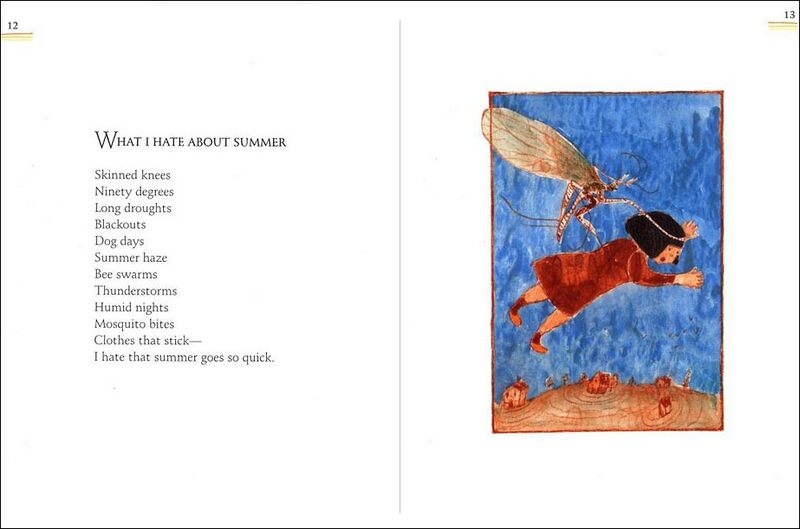 And each poem is paired with Florian's trademark exuberant, messy, fascinating illustrations. 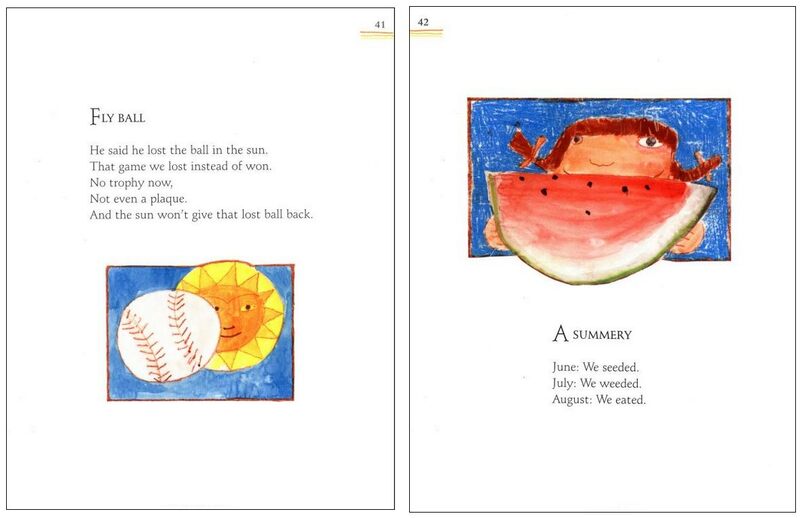 There are dozens of poems in each book, all on topics related to the season.In Summersaults, for example, there are poems on 'Dandelions', 'Summer Trees', 'Names of Clouds', 'Campfire', 'the Sea', 'Fireflies', and more. Each book also includes a poem entitled 'What I Like About...[season name]' and a poem entitled 'What I Hate About _____ [season name]'. 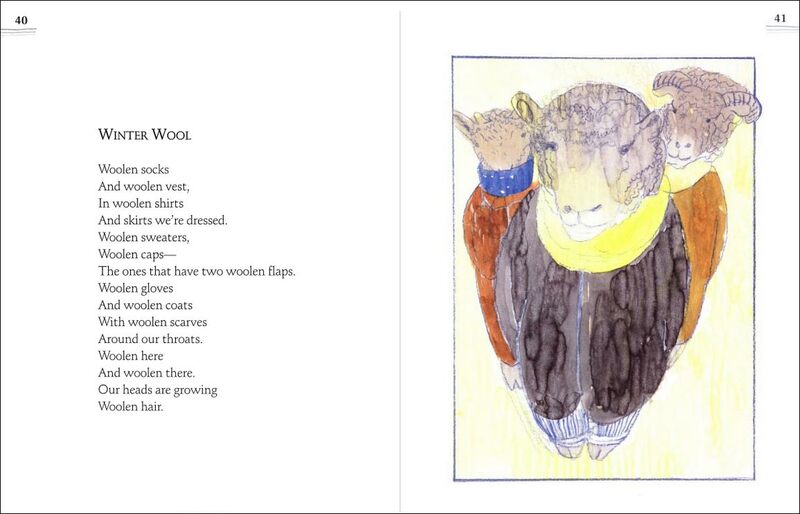 In their review, School Library Journal called these books "a natural for use in classrooms and library programs" and promises that "these poems will delight youngsters. Florian's intriguing art and lighthearted facility with words make this offering a winner." We agree! And the fun continues in Winter Eyes and Handsprings. As usual, these books are full of concrete poems, like the poem "Sled" in Winter Eyes, where the words are formed into the shape of a hill. They are also full of wordplay, like in Handsprings, when Florian says "Spring succeeds ex-seed-ing-ly" and "Picking berries is very fun / Very berry merry fun." These books are just such a great mix of fun and learning, we really can't say enough about them!